2018 is fast approaching and many are assessing their current financial situation. Most are hoping the coming year will be better. Looking for a practical investment vehicle for the upcoming new year? 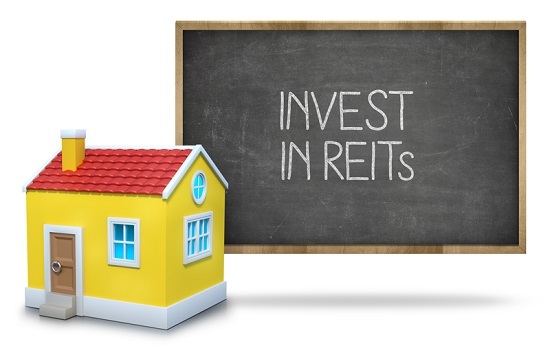 Have you considered REITs (Real Estate Investment Trusts)? September 14, 2010, marked the 50th anniversary of the U.S. REIT industry. President Dwight D. Eisenhower signed legislation in 1960 creating REITs. The legislation combined the best attributes of real estate and stock-based investment and placed investments in large-scale income-producing real estate properties within the reach of the small investor. This made it possible for average investors to invest in REITs in the same way they invested in other industries, i.e. through the purchase of equity-type units. The investor's ownership of real estate is divided into various "units", the value of a unit being a portion of the value of the property/properties owned by the REIT. hybrid (a portfolio of equity and mortgage REITs combined). REITs are a means of allowing investors to directly participate in the higher returns generated by real estate properties because, in essence, they own a "piece" of property/properties in the trust. REITs can be publicly or privately held; however, typically REIT units are publicly quoted and traded, similarly to mutual funds. NAREIT, the National Association of Real Estate Investment Trusts, categorizes REITs as publicly traded, private, and non-exchange traded. Public REITs are registered with the SEC (Securities and Exchange Commission) and traded in major stock exchanges just like shares of common stock in other companies are listed and traded. By contrast, private REITs are not registered or traded with the Securities and Exchange Commission (SEC). Non-exchange traded REITs are registered with the SEC but not traded on any of the public exchanges. Two main IRS requirements for REITs are: (1) a company must have most of its assets and income tied to real estate investment, and (2) that company must distribute at least 90 percent of its taxable income to its shareholders yearly. If a company qualifies as a REIT, it can deduct dividends paid to its unit-holders (or shareholders) from its corporate taxable income, and consequently, owe no corporate tax. Applicable taxes will be paid by the unit-holders. Furthermore, in line with IRS treatment, most states do not require REITs to pay state income tax. REITs may have originated in the US, but the concept has spread around the world. There are Asian and European countries with REIT legislation. The Australian REIT market is the largest in Asia. (REITs are called LPTs there.) However, the US still boasts the largest REIT market. Regardless of the host of issues adversely impacting the real estate market currently, REITs are still an easy convenient means for the average investor to invest in high-value income-producing property and other areas of real estate that would otherwise be totally inaccessible to them, because they simply do not have the funds to buy and sell properties in their own. REITs, as a sub-component of the financial industry, have become and will likely remain an integral segment of the economy. REIT shares clearly can benefit most investors, whether value-driven or growth-oriented, individual or institutional. They offer the benefits of ongoing current income, with the potential for long-term capital appreciation that historically has met or exceeded inflation. They are equities that derive a large part of their value from tangible, hard assets and the effective management of those assets. They have been proven to bring the benefits of balance, diversification and greater risk/reward efficiency to a broad range of investment portfolios." - Whether the real estate market is in crisis or stable, REITs serve their legislative intent, i.e. they are a means or method for the small investor aka "Joe the plumber", to invest in commercial real estate. This article is just an introduction; a primer. NAREIT®, the National Association of Real Estate Investment Trusts®, the "voice for REITs" continues to supply significant news and reports affecting the real estate investment world, and more specifically REIT investors.